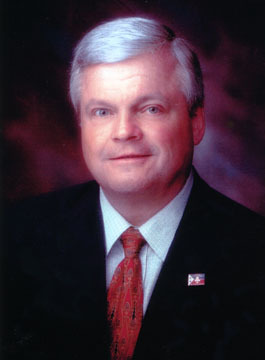 Richard Zuschlag has done much to promote the Cajun culture by educating the Cajuns about emergency first aid and advanced pre-medical care in the event of an emergency. Richard Emery Zuschlag was born in 1948 in Greenville, Pennsylvania. He graduated from Greenville Senior High School in 1966. He attended Capitol Institute of Technology in Washington, D.C. and received his B.S. degree in Electrical Engineering in 1970. He then began working for the Westinghouse Electric Company in the Space and Defense Center of Technical Training Operations in Baltimore, Maryland in 1970. He was transferred to Lafayette in 1971 where he was involved in medical training at Lafayette General Hospital. It was a unique time in South Louisiana history, when funeral homes announced that they would no longer transport accident victims to hospitals as the combined costs and growing federal regulations were too much of an expense on the funeral homes. Zuschlag befriended a medical administrator, Roland Dugas, while at Lafayette General Hospital. Zuschlag and Dugas along with Richard Sturlese incorporated Acadian Ambulance Service and began a membership drive asking 8,000 residents to pay a yearly membership fee of only $15 for the use of an ambulance if you would ever have the need for one. If Zuschlag’s plan failed, some community leaders feared the injured would lay dying on the roadways without an ambulance service. The public and the news media were both skeptical that this membership drive would succeed but there was no other choice as the Lafayette Parish funeral homes were united that they would discontinue ambulance service. In 1971, 8,000 Lafayette Parish residents paid the membership fees launching AASI. With the success of the membership drive, Richard Zuschlag was immediately recognized as a businessman extraordinaire. With a staff of 8 medics, who had just returned from service in Viet Nam and 2 ambulances, Zuschlag transform a small ambulance company into what is now the largest rural ambulance company in the United States. Today, AASI has over 2,000 employees and 200 ambulances, 4 airplanes, and 7 helicopters. Zuschlag has, over the past 30 years, been a leader in civic and religious affairs in south Louisiana. He has been unselfish in assisting various organizations in fundraising such as the Bishop’s Charity Gala and Boy Scouting. He is also credited with the success of the 911 emergency call systems in Louisiana. He is a member of UL-L Foundation, Louisiana Association of Business and Industry (LABI), Louisiana Press Association, Bishop’s Charity Ball, St. Thomas More High School Foundation Board of Trustees and LSU Dean’s Advisory Council. In 1980, Zuschlag was named Businessman of the Year for the state of Louisiana by the Small Business Administration in Washington, D.C. In 1991, Senator John Breaux and the United States Senate presented Zuschlag with the Senate Innovation Award. In 1995, the Evangeline Area Council of Boy Scouts awarded him the Distinguished Citizen Award. In 2005, Zuschlag served as King of the Washington Mardi Gras Ball while his daughter, Erin, served as Queen the year before.